Mr. PAUL. Mr. Speaker, last years attempts by some in Congress to tie the Mexico City Policy to the issues of funding for the United Nations (UN) and the International Monetary Fund (IMF) this week come back to haunt those of us who believe in the sanctity of human life, the inviolability of US Sovereignty, and the rights of the U.S. taxpayers to keep the fruits of their own labor. This week, we see, the grand deal struck which will see liberals back down from their opposition to Mexico City Language in exchange for conservative members voting to support funding of the United Nations, affirmative action, peacekeeping activities, and the National Endowment for Democracy. MEXICO CITY POLICY DETAILED The Mexico City Policy was drafted in the Reagan years as an attempt to put some limitations on US foreign aide being used for certain abortions overseas. While I believe that those who put this policy forward were well-motivated, I believe that time has shown this policy to have little real effect. I have continued to vote for this policy when it came up as a stand alone issue in this Congress because, by itself, its effect tends to be positive rather than negative, as I say, I consider it largely ineffective. I believe that the only real answer to the concerns of sovereignty, property rights, constitutionality and pro-life philosophy is for the United States to totally de-fund any foreign aid for international family planning purposes. I introduced a resolution to that effect in 1997 and we received 154 votes in support of cutting off this unconstitutional funding program. In fact, the deficiencies of the Mexico City Policy are such that the pro-family conservative group Concerned Women for America has withdrawn its support for the Mexico City Policy all together. This, in part, due to the fact that while the policy requires more creative accounting, it does not, by any stretch of the imagination, prohibit funding of many abortions. UNITED NATIONS The United Nations is an organization which frequently acts in a manner contrary to the sovereign interests of the United States. As such, I have sponsored legislation to get the United States out of this organization. Currently, the most pressing battle is to stop the US from paying phony back dues which we supposedly owe this organization. Congressman ROSCOE BARTLETT put forward a bill to stop any payment of this phony UN debt and I proudly cosponsored Mr. BARTLETTs legislation. LINKING THESE TWO ISSUES We were able to put the breaks to the funding of the false UN debt and the IMF at the end of the last session of Congress by linking these items with the Mexico City Policy language. For political reasons President Clinton has steadfastly refused to sign any legislation which contains any anti-abortion language at all. This linkage presented us with a short term tactical victory but its long term costs are now becoming quite apparent. In linking these two issues together an opportunity for a deal has become apparent, a deal which will compromise principles on several fronts. THE SO-CALLED BARGAIN The so-called bargain here is maintaining the flawed Mexico City language in exchange for paying the alleged back-dues to the United Nations. But this, from a true conservative standpoint, is a double negative. In a world of so-called give-and-take, this is a double-take. This is no bargain at all. Obviously, the Mexico City policy is riddled with fungibility holes in the first place. Moreover, it is morally repugnant to undermine our nations integrity by trading votes in this fashion. Worse still, it is now apparent how willing some members have become to water the Mexico City Policy down still further in order to get President Clinton to sign legislation which shouldnt exist in the first place. Even the abortion restrictive language has been diluted to state that the President could waive the restriction on funding groups that perform or promote abortion, but such a waiver would automatically reduce total U.S. funding for family planning activities to $356 million, 11% less then current appropriations. In other words, Abortion is A-O-K if done with 11% fewer taxpayer dollars. Now thats not worth compromising principle. PEACEKEEPING This compromise authorizes $430 million for U.S. contributions to our police the world program carried out through various arms of the United Nations. International peacekeeping operations are currently ongoing in the Middle East, Angola, Cambodia, Western Sahara, and the former Yugoslavia. Additionally, the measure authorizes $146 million to international operation in the Sinai and Cypress. ADDTIONALLY This agreement authorizes $1.8 Billion for multilateral assistance in excess of the previously mentioned contribution to the United Nations; $60 million dollars for the National Endowment for Democracy; $20 million for the Asia Foundation; $22 million for the East-West Center for the study of Asian and Pacific Affairs; $1.3 billion for international migration and refugee assistance and an additional $160 million to transport refugees from the republics of the former Soviet Union to Israel. Also, $100 million is authorized to fund radio broadcasts to Cuba, Asia and a study on the feasibility of doing so in Iran. Lastly, foreign policy provisions in this report suggest an ever-increasing role for the United States in our current police-the-world mentality. Strong language to encourage all emerging democracies in Central and Eastern Europe to join NATO area amongst these provisions in the conference report. It also authorizes $20 million for the International Fund for Ireland to support reconciliation, job creation, investment therein. For Iraq, the bill authorizes $10 million to train political opposition forces and $20 million for relief efforts in areas of Iraq not under the control of Hussein. CONCLUSION Fortunately, many genuinely conservative pro-life and pro-sovereignty groups are making it known that they do not support this so-called compromise. I, for one, refuse to participate in any such illusion and oppose any effort to pay even one penny of U.S. taxpayer dollars to the United Nations, subsidize family planning around the world, and intervene at U.S. taxpayer expense in every corner of the globe. Ron Paul denounced the vote after this measure passed. See 1998 Ron Paul Chapter 29. 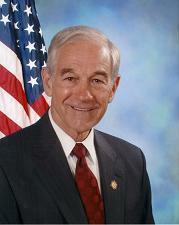 1998 Ron Paul 28:8 11% less then current appropriations probably should be 11% less than current appropriations.